To protect your feet in hazardous working conditions, Belleville has created a line of safety boots, complete with protective steel toe that meets ASTM standards and durable MeraMax® overlays on heel & toe to resist abrasion and extend the life of the boot. Safety boots also feature a polyurethane cushioned midsole for comfort and a slip resistant rubber VIBRAM® outsole for improved traction in unstable areas. 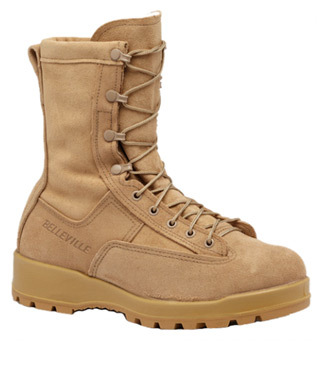 Belleville offers its hot weather, tactical, combat, flight and safety boots in Womens sizes for female military personnel. 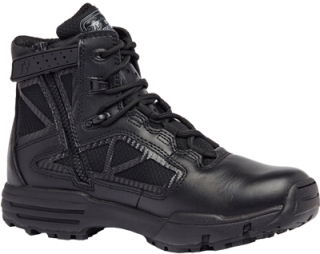 Approved for use by the U.S. Army, the U.S. Navy, the U.S. Air Force, the U.S. Marine Corps and the Coast Guard, Belleville's women's boots feature a cushioned midsole for comfort, a rubber VIBRAM® outsole for improved traction, and certain boots feature a protective steel toe that meets ASTM standards. 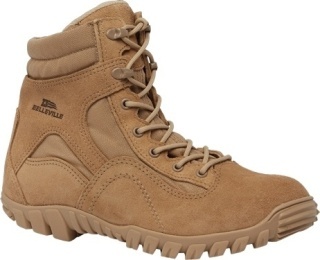 Belleville offers a selection of flight boots that are U.S. Air Force Flight and ABU approved. Some great features of Belleville Air Force boots include a moisture wicking lining to keep your feet dry, lightweight Thinsulate® insulation for warmth, and VIBRAM® rubber outsole that improves traction on slippery surfaces. 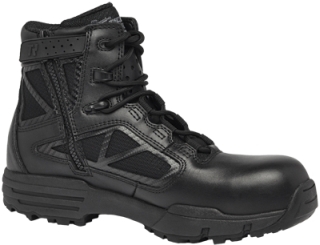 Choose from a number of Air Force approved boots, including waterproof combat flight boots, hot weather flight boots, insulated safety boots and much, much more. 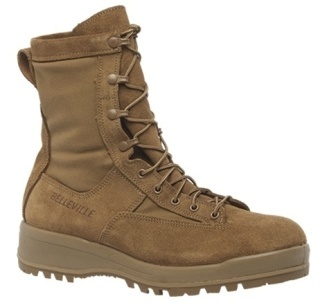 Belleville features a selection of army boots, most of which are ACU approved. 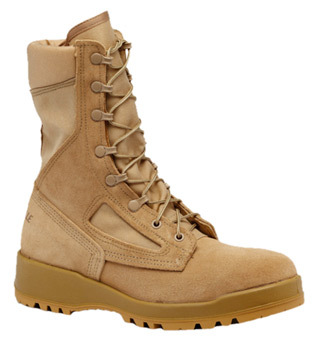 Army boots are specially designed to be worn with army uniforms with great features like protective steel toe that meets ASTM standards, cushioned insole for comfort, and slip resistant outsole for improved traction. Other great features of Belleville army boots include waterproof construction, lightweight design for warm climates, heavy insulation for cooler climates and safety toe for added protection. With Belleville, you're sure to find the right boot for you. Mens Boots Approved for use by the U.S. Army, the U.S. Navy, the U.S. Air Force, the U.S. Marine Corps and the Coast Guard, Belleville's men's boots feature a cushioned midsole for comfort, a rubber VIBRAM® outsole for improved traction, and certain boots feature a protective steel toe that meets ASTM standards. A true minimalist boot featuring a 5mm œdrop between the heel & forefoot, the Belleville MINI-MiL™ is designed specifically for the conditioned warrior athlete currently training in minimalist athletic footwear. 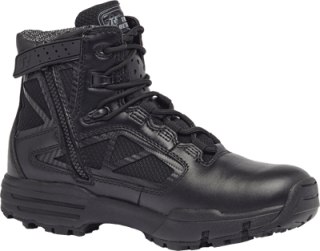 Following up on the tremendous demand for the MINI-MiL® minimalist training boot, Tactical Research by Belleville introduces a new "Transition" boot. Designed specifically for that warrior-athlete who is interested in shedding traditional duty boots and evolving toward a more natural movement, the MINI-MiL® Transition is the ideal cross-over boot for ultimately conditioning the body for zero-drop, "barefoot" footwear. 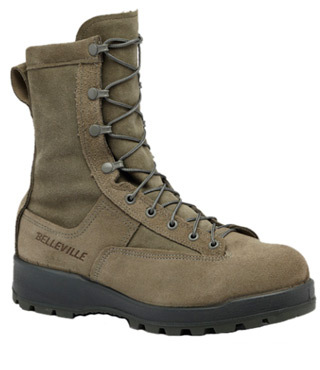 Belleville offers a line of tactical research boots; boots that are easy to move around in across all types of terrain. The low profile sole helps to reduce weight and improves mobility, with and outsole designed to be oil and slip resistant. Inside, a breathable lining and smooth midsole provides all day comfort and cushion.  For added protection, certain styles even feature a non-metallic safety toe that meets ASTM standards.